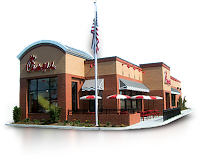 New Hampshire’s only Chick-fil-A restaurant is going against the wishes of chicken chain founder Dan Cathy by pledging to co-sponsor an LGBT Pride Festival in the state. The support from franchise operator Anthony Piccola for the New Hampshire Pride Fest comes as the restaurant chain continues to be criticized for an executive’s comments about gay marriage. Piccola said Wednesday that the Chick-fil-A culture and service tradition in its restaurants “is to treat every person with honor, dignity and respect – regardless of their belief, race, creed, sexual orientation or gender.” It followed a statement he made last week that said the Nashua restaurant at the Pheasant Lane Mall has gay employees and serves gay customers “with honor, dignity and respect. Like many other fast food chains, Chick-fil-A restaurants are independently owned and it’s not yet clear what their policies, if any, are or how it will affect Piccola.